Why choose ADAMS Perth as your preferred transport provider? 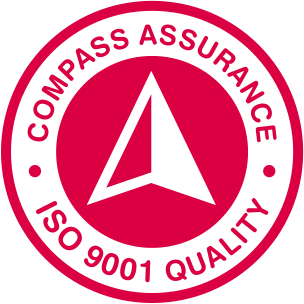 ADAMS Perth has over 35 years of experience in the industry, delivering quality assured services through ISO 9001. Our Quality Management System is certified to the international standard of ISO 9001:2015. This will give you the confidence that ADAMS will ensure the quality of all services provided. From the initial inquiry to the collection of feedback, we offer a commitment to quality and absolute satisfaction. Our software based Quality Management System allows the tracking of the delivery of our services. It ensures that any issues are managed according to the ADAMS quality management procedures. ADAMS staff are trained in the continual improvement aspect of our Quality Management System therefore fulfilling the requirements to the delivery of a quality service. What makes ADAMS Perth a cut above the rest? At ADAMS Pinnacle Tours, we regard the environment as our most precious resource and support the ethos of ‘take only photographs and leave only footprints’. ADAMS Pinnacle Tours provide a unique advantage in the protection of the environment. Our modern, fuel efficient fleet of vehicles, many of which exceed the requirements of EURO 5, the most stringent emissions control requirements, make us the most environmentally efficient coach operator in the state. Our Environmental Management System is designed to manage our interactions with the environment and minimise our impact. Our system meets the requirements of international standard of ISO 14001. We look after your safety and comfort. ADAMS Safety Management System has been designed and implemented to meet all requirements of Australian Standard of AS/NZA 4801:2001, be aligned with International Standard OHSAS 18001 and to be accredited to International Standard of ISO 45001:2018. Those standards set a range of benchmarks and requirements for all personnel in the provision of services in the safest possible manner. From fleet maintenance system, vehicle tracking, intensive staff training program to 24/7 operations support, we ensure that the highest of safety is provided when you travel with ADAMS. Safety is everyone’s responsibility, and ADAMS is leading the way in the improvement of safety in the Coach Transport Industry. What this means for our valued customers? Sit back, relax and let ADAMS Perth take care of the rest. ADAMS Perth strives to ensure that every single customer has a great experience. Not only enjoying some of Western Australia’s most beautiful attractions but also having peace of mind that you are travelling with a quality assured tour company that endeavours to deliver a service dedicated to safety and comfort. Choose ADAMS Perth for your next holiday and rest assured, you will be in great hands!